The Once-ler moves into the area and is amazed by the brightly-coloured Truffula Trees he discovers. He decides to set up shop and starts producing Thneeds (which everyone needs) from the silky soft Truffula Trees. Despite persistent protest and warnings from the Lorax, “who speaks for the trees”, the greedy Once-ler keeps chopping down the trees. Soon the Truffula Trees and all the creatures who depended on them for shelter and food are gone. Now the land is polluted and barren. But with the help of a young boy and a single seed, perhaps the Truffula Tree forest could be restored to its former beauty once again. 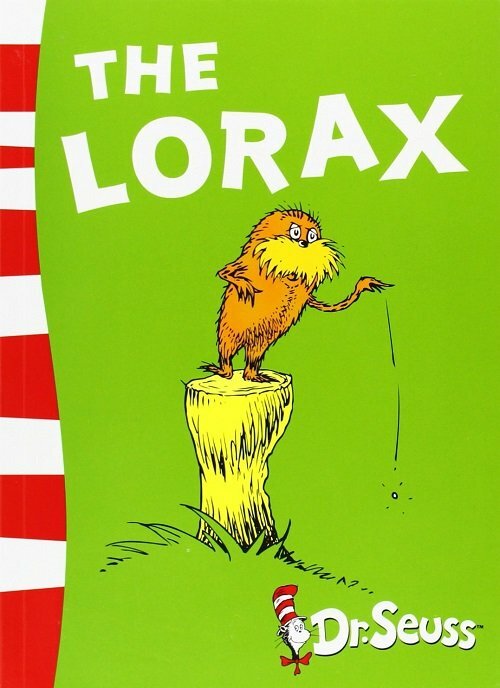 The Lorax by Dr Seuss is another delightful rhyming story with a strong moral of the importance of taking care of our environment. It illustrates the cause and effect relationship our actions can have on the future of the planet. It’s a great book to share to celebrate Earth Day. The text and accompanying illustrations provide a vivid setting description before and after the destruction of the Truffula Tree forest. The new and interesting plants and creatures create plenty of opportunities for children to practice their describing skills. Dr Seuss does a brilliant job of describing The Lorax - he’s shortish and oldish and brownish with a voice the is sharpish and bossy. I wonder if we can think of more words to describe him? For further speech and language goals to target using The Lorax by Dr Seuss, see the list below.